I would need to make a contact without electric charge (dry contact?) to connect the alarm. It is very simple: if the two cables are together, the alarm will be connected, if the two cables are separated, the alarm will be disconnected. 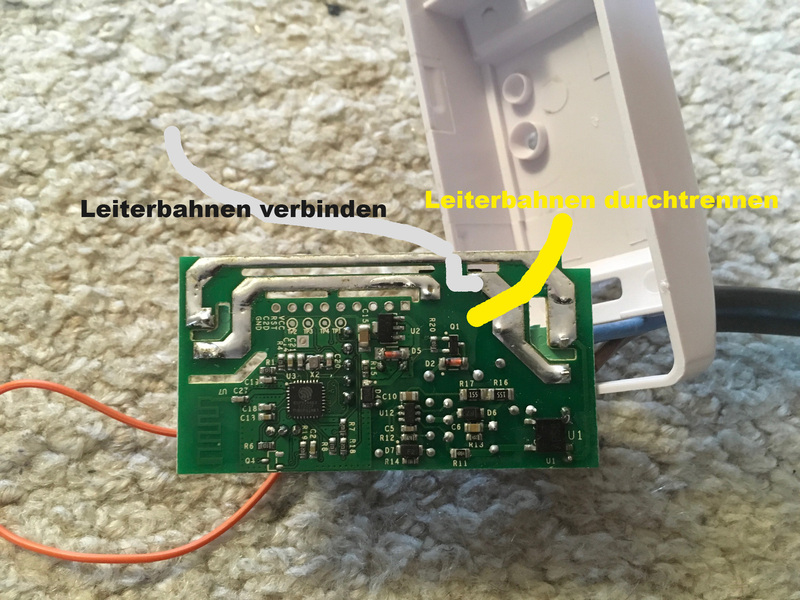 I would like to know if it is possible to carry out this operation with the "4ch pro" (it is the one that seems more suitable to me) or with "1 Channel Inching / Self-Locking WiFi Wireless Switch 5V 12V"
I don’t understand. Do you want the electrical connection to turn the alarm on or trigger an alert on an alarm? Also how would you like be notified by an alarm? I guess it also depends on whether you are happy to upload your own firmware? I think the most popular one is from Catalonia (ESPurna). I think most boards have a free pin available on the chip that you could use to trigger something like that. Have you considered the Sonoff SV? I’m waiting on some bits from China, but i have 3. They have 3 pins available and they’ve already added the headers to connect to. Input voltage is 5 - 24V normally, but if you remove two resistors it can also control high voltage AC (but needs its own low voltage DC supply). I think they are the cheapest board - I think I found them on sale for £3.81. They don’t have terminal connectors for wires though; I guess because people have the option of a wide range of wire sizes/powers. The holes at in/out are slightly bigger than usual (1.6mm). The other holes in the PCB are usual sized. You would need a case and rubber grommets to take the wires in and out, as well as four terminal pins to solder on (in order to reflash it with your custom firmware). I would order these now or you will end up, like me, tempted to put one in a swimming goggles case. I'm sorry. Maybe I did not know how to explain. I have TWO CABLES coming from the alarm center. By joining these two cables (when making the connection) the alarm is switched on. If I disconnect them, the alarm goes off. What I need is a contactor, free of electric charge, that makes that on / off = Electrical connection but without electrical charge. I think that's called dry connect. The alarm is connected to a central office where they call me in case there is an incident. That is not a problem. "I think that's called dry connect" also referred to as Volt Free Contact. The point is that the contacts being switched are electrically completely separate from the power supply to the switching device. If none of the Sonoff products do this directly, you could use an external relay with mains voltage coil and normally open contacts. At least I am not trying to speak Spanish. Then I would be really confused. I think I am understanding better. Let me check; 1) to trigger the alarm all you need is a 230V ‘ON’ signal to be sent to the office. True? 2) for the sensor you wish to use a low voltage in the sensor for (probably) safety reasons. True? 3) you wish to power the device using a 230V supply. True? Incidentally, you could just do it the really easy was and use the Sonoff Door Sensor. It would trigger when the door is opened and send an RF signal to a RF Bridge 433 which would then create an alarm that could trigger a scene and turn off any switch you like. You could just put a ‘basic’ in the wire from the alarm. You would need: 1) Sonoff Door/Window Sensor 2) Sonoff RF Bridge 433 3) Sonoff Basic But the cost would still be less than a 4ch Pro and you would need to do zero soldering and zero firmware writing. The EWeLink-alarm would need resetting manually by you in the app. Sonoff SV can be configured for dry contact (volt free contact) operation. Unfortunately it needs a DC supply for the electronics. Alternatively I wonder whether cutting a couple of tracks on a Sonoff Basic would disconnect the relay input from the power supply input.